Welcome to our next Monthly package full of new rewards in the events War of the Bloodcrows and the Battle of the Berimond, new Quests with awesome rewards and new research stages! Furthermore, a great discount on Gem removal costs awaits you. With this update, there will be 10 new Activity rewards players level 70+ can fight for. 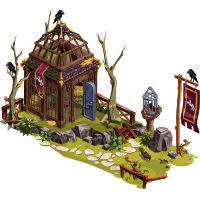 Additionally, the 1st place reward for Alliances will be exchanged with a brand new decoration, Crow blood cavern (285 PO). With this update, there will be 15 new Activity rewards players can fight for. The top 100 players can win a base food production build item level 6 which gives +40 food production bonus and a random gem level 9, instead of troops. 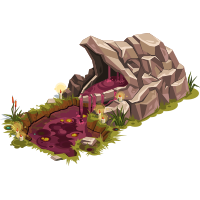 The 1st place reward for players level 70+ will also be changed and players will be able to win a base food production build item level 10 which gives +65 food production bonus. The Berimond hero will be in rotation with the other Berimond equipment set items for the Top 50. 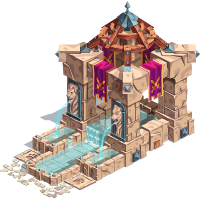 During our Long term point events you will encounter a new quest, ‘Friend of the true King’. Be loyal to your true King Eric and he will handsomely reward you. In order to fulfill the quest players level 30+ need to gather a specific amount of season points in the LTPE. As soon as you finish this quest King Eric will give you a payment doubler. This means that you will receive a 100% bonus on your next ruby purchase in our shop! Please keep in mind, that this payment doubler cannot be combined with an ongoing prime time. You can make the payment while other offers (such as a prime day) are active though, in order to benefit from them and get even more rewards! Gem removal will cost Rubies again. New gem removal prices will be available after the update takes place.